Who doesn’t like to blare some nasty beats while driving? 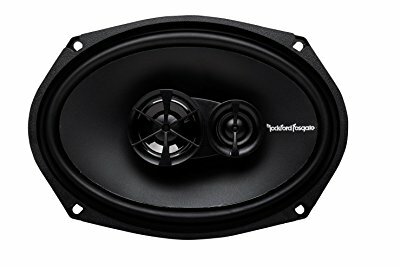 If you’re considering getting a new pair of 6x9 speakers for your car, you want to make sure you’ve picked just the right babies, so you can achieve the pinnacle of sound reproduction without having to break the bank in the process. The market is overwhelmed with different manufacturers and models. Some of them offer 3-way speakers, while others have 4-way speakers. But in the end, it all comes down to what will sound the best in your car. An educated guess simply won’t work here. That’s why I’ve rounded up a fine selection of superb 6x9 speakers to help you choose the perfect pair which will put that smile back on your face. In the world of after-market car speakers, design is everything when observed from a salesman’s point of view. But you can easily end up with a beautifully designed set of speakers which sound terrible. Thankfully, that’s not the case with these ones. If you’re looking for an affordable set of 6x9 speakers to replace your old factory installed ones, these might just be the ticket to a better place. They sure do look high-end, as they feature a polypropylene woofer, two different sizes of silk dome tweeters, and a basket frame made of stamped steel. They sure do sound good, but not as great as they look. As far as the high frequencies are concerned, they are more than capable, but they suffer from somewhat weak midrange reproduction. As most modern music relies heavily on substantial amounts of bass frequencies, these speakers are primarily designed to blast some heavy beats. And heavy they are. When installation is concerned, the Fosgate R169X3 speakers are quite slim, so they should fit almost any car and configuration. The biggest concern with these speakers is their inability to handle very high continuous power and peak power. They have some of the weakest numbers in the field of quite powerful competitors. In practice, this means you need to be extra careful as they can be damaged rather easily if you drive them with too much power. 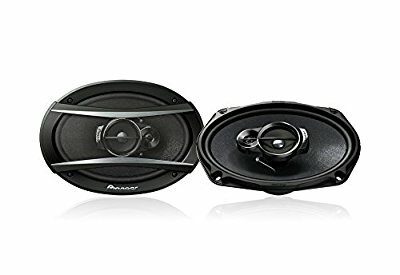 Once you get around the boring model name, you are greeted with a pair of excellent car speakers which are really tough to beat at this price range. They are loaded with some of the latest technologies you’ll find in good speakers, and they are wonderfully designed to complement your car both visually and sonically. 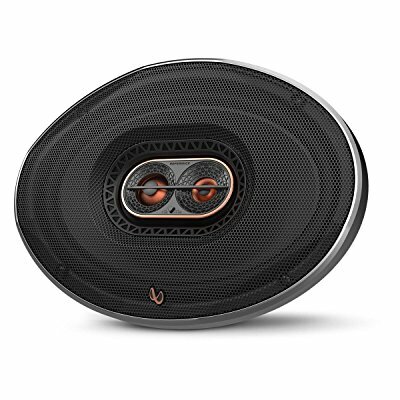 These are 3-way speakers which can handle peak power of 420 watts and has a rated sensitivity of 92 dB, which means that they don’t require a lot of power to play really LOUD. They are a part of Pioneer’s A Series of speakers which was the first to utilize fiber made from a combo of aramid fiber and natural rock. This means that the cones are virtually indestructible and resistant to high temperatures. The speakers are lightweight and easy to install in most cars, and they also pack quite a punch throughout the entire frequency range. Even though you can’t really expect them to cover all the frequencies equally, they tend to produce quite prodigious bass and clear midrange. If you’re looking for a pair of speakers that will give you the most precise treble frequencies, you’ll simply need to look elsewhere, even though the highs are really not bad for this price range. Even though they’re not up there with the household names, Cerwin Vega has quite a following among those in the know. No matter which model you choose, these are always among the best in their respective price range. These are actually coaxial speakers, which means that all the different drivers are arranged on the same axis. These 3-way car speakers deliver quite a lot, especially when you take the price tag into consideration. All the frequencies are delivered in more or less the same manner, and you can surely say that these babies can play loud as they can handle up to 350 watts of peak power. The surround material is the ever popular butyl rubber and these speakers are quite easy and simple to install in most new car models. These speakers strike just the right balance between high performance and affordability. This isn’t some well-kept secret, as Infinity has always been one of the major players in the market for car speakers and home audio. The 9623ix is a newer and improved model from their renowned Reference X series. They are easy to install and they fit most common installation sizes for different car models, and they will even fit some of the uncommon installation sizes. When it comes to sound reproduction, these babies tend to prefer the treble frequencies. Even if you like phat beats, it’s always best to aim for speakers which don’t muddle the high end of the frequency spectrum. The 9623ix delivers an accurate midrange as well, but when it comes to the reproduction of lower frequencies, it slightly lags behind its direct rivals. Mind you, this isn’t bad at all. The bass is accurate but it’s just not designed to overpower. If we’re talking about power handling, these Infinity speakers are one of the best 6x9 speakers out there. Its sensitivity rating comes in at 94 dB which is very high for car speakers – car speakers don’t have the luxury of its own box like home speakers. The speakers also can handle 100W of continuous power and 300W of peak power. JVC is another strong and age old player in the car speaker market. The ones I’ve decided to include here come from their J Series and are quite affordable, especially when you take their performance into consideration. The design is a little bit on the old school side but they will surely look nice in any type of car, and they are also quite easy to install. These speakers are 3-way speakers with coaxial midrange and tweeter. The mica woofer cones are economical yet reliable. As far as their performance is concerned, they tend to be a little too much on the bass side of the frequency spectrum, but don’t think that their midrange and treble doesn’t cut through. However, the treble does come out a little bit too harsh when cranked up. This is mostly due to the fact that the mica cone tends to emphasize the lower frequencies quite a bit. The tweeter features a balanced dome made out of poly-ether imide, so together they provide a hybrid surround sound. In terms of power handling, the continuous power capacity is quite weak at 45W, while peak power jumps up to a high 400W. Okay, now we’re getting to probably the best 6x9 speakers of the bunch. It’s tough to name one winner, as different people have different preferences. These are some of the most popular speakers and you can often see them in place of factory-installed ordinary speakers. First of all, they are very easy to install, and you can do that all by yourself, without needing any special tools for the job. Just keep in mind that if you need to replace smaller speakers, you will have to make larger cutouts. You will find templates in the box for measuring the right cutout size and marking the exact screw holes and stuff. One of the main features that make a huge difference when compared to other speakers is the Plus One technology used for the cone. It is basically an enlarged cone, so it vibrates much more air than some of its direct rivals - and sounds much better while doing so. Each speaker can handle peak power of 300 W, so that adds up to 600W per pair. The way they handle continuous power is also highly respectable as they add up to 200W. Speaking of sensitivity ratings, these babies are rated at 94dB, which means you only need 1W of power to play at 94dB. These guys don’t need a lot of power to play loud. You shouldn’t have to upgrade your current receiver or amplifier. 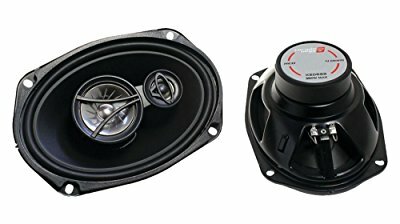 It’s the tweeter in the GTO939 that makes it sound much more expensive than it really is. It’s made from a compound of titanium and Mylar to provide you with very clear and crisp highs. Another curiosity about the tweeters is that they’re equipped with UniPivot technology, so they can be moved around for proper positioning. Last but not the least, we have a pair of beauties from one of the most renowned car audio manufacturers. 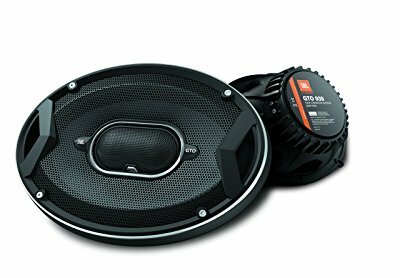 In this price range, they are quite close to what the JBL has to offer, but still there are slight differences which might affect your final choice of car speakers. Speaking of easy installation processes, you wouldn’t expect any troubles and issues from a manufacturer such as Alpine. But, if we’re to talk about performance and sound reproduction, they are quite a different beast than the JBLs we’ve just discussed in the previous section. These speakers are focused on delivering a powerful and punchy bass, simple as that. As such, if you’re looking mainly for bass in a pair of 6x9 speakers, they can be a fantastic choice. The midrange is not that bad either, but they’re a bit lacking in clarity where trebles are concerned. This might be great if you’re into techno and electronica, but not as much for other music genres. The Alpine SPS-619 is a 3-way speaker with coaxially mounted midrange and tweeter. While they may not be the absolute best option out there, they are indeed an excellent value for the money and they can play quite loud if need be. 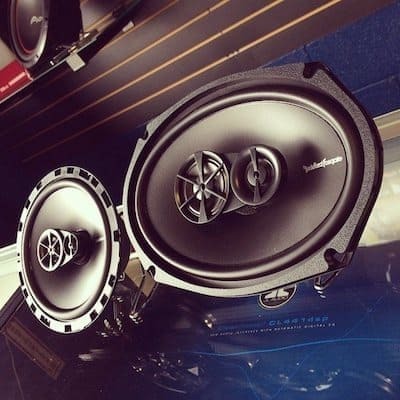 When shopping for a new pair of 6x9 speakers for your car, there are a few factors you need to take into consideration. Always go for the ones which are durable and built to last. Make sure to choose the ones made of durable driver materials designed to withstand abuse and high volume. Give them a spin. Make sure that the bass, midrange, and treble sound equally well. 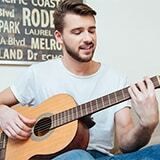 Try different genres of music to give you a better idea. These are important specs which will determine how well your new speakers match your car’s existing audio system. I’m sure you’ve gotten tired of all the generic stuff that lays about on the Internet without actually helping you make the right choice. Hopefully, you’ve actually got the vital tidbits that you were looking for from this article. Now that you’re well informed, go ahead and pick the right pair for your car and delve deep into all night singalongs with your buddies.